The Blue Waters II is located at the exciting Bayside Marketplace and Marina, 5 minutes away from South Beach (just over the causeway). Fish the Waters of Miami and Key Biscayne for Sailfish, Dolphin, Marlin, Shark, Tuna and other species. 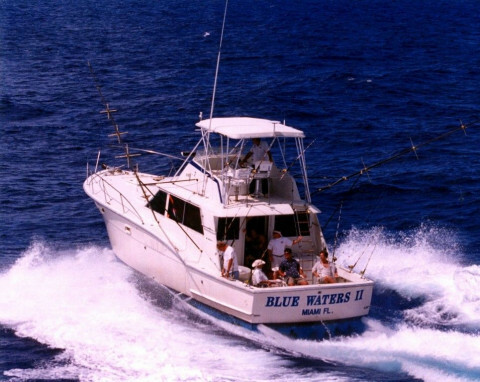 The Blue Waters offers four, six and eight hour trips.